As if I didn’t already think Flexi-Clips are as cool as can be, Lilla Rose went and created something even more fantastic. 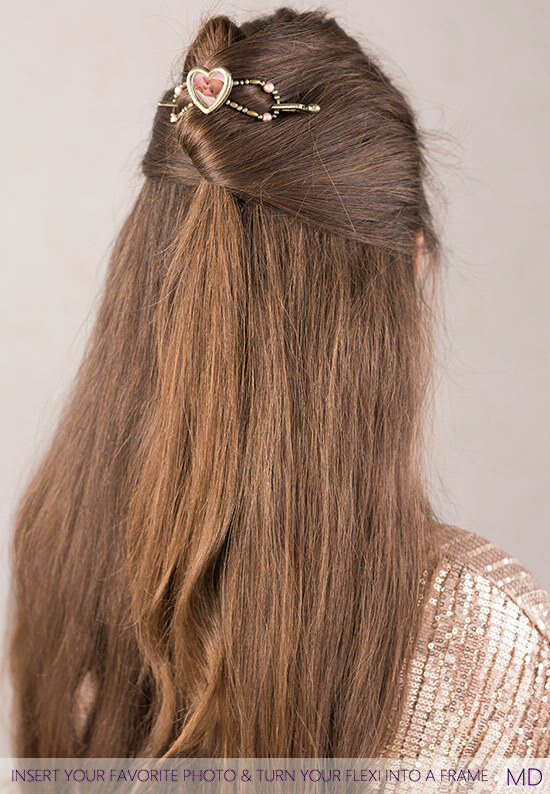 This Flexi not only makes your hair beautiful, it allows you to show off some of your prized and precious people! I’ve decided that this is one of the prettiest I’ve seen and own. I love the brushed gold, the sweet pink pearls, and the hearts. So, so pretty! And you guys! I have to show off Paula’s adorable grandbaby! We’ve been working with Paula at Lilla Rose for YEARS now!! So it was a joy for me to learn that she had become a grandmother for the first time. 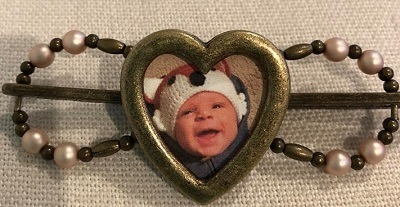 Then on Facebook I saw that she’d cut out her grandbaby’s pic and put it into her Flexi locket. I had to show it off!! Never heard me talk about Flexi-Clips before? Well, they are my favorite hair accessory. They make hair styling super fast and easy, they keep your hair from pulling and breaking, they add something special to your hair! 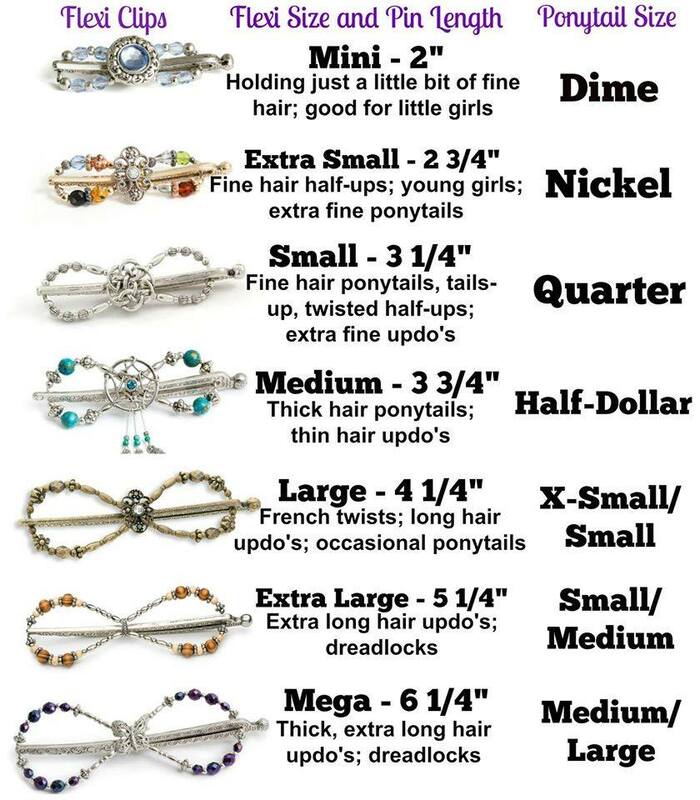 Lilla Rose offers a huge variety of styles and sizes (see the graphic below to learn how to select the right size for your hair). And these clips stay in great shape basically forever. I got my first Flexi-Clip in 2009ish if I recall correctly. That gem is still going strong. I’m pretty sure I can’t say that about any of the hundreds of rubber bands I’ve put in my hair that lasted a total of two weeks each! 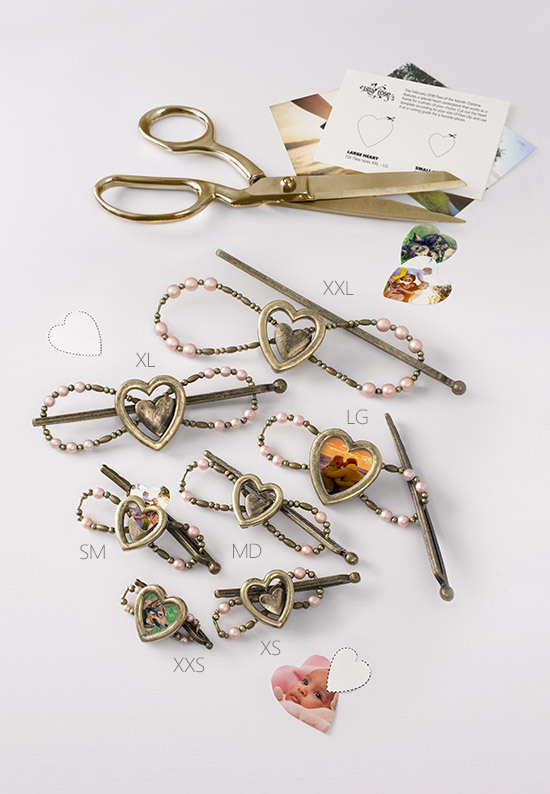 If you love the Heart Locket Flexi-Clip, you’ll want to grab it right away as it is featured as the February special. And guess what? Paula is giving away TWO $50 Shopping Sprees this week! You can use your $50 to buy any Lilla Rose products you like! Thank you, Paula, for your generosity! Sign up here to win one of the two $50 shopping sprees. Be sure to check out all the latest and greatest Lilla Rose products here. Be sure to sign up to shop Lilla Rose for FREE!